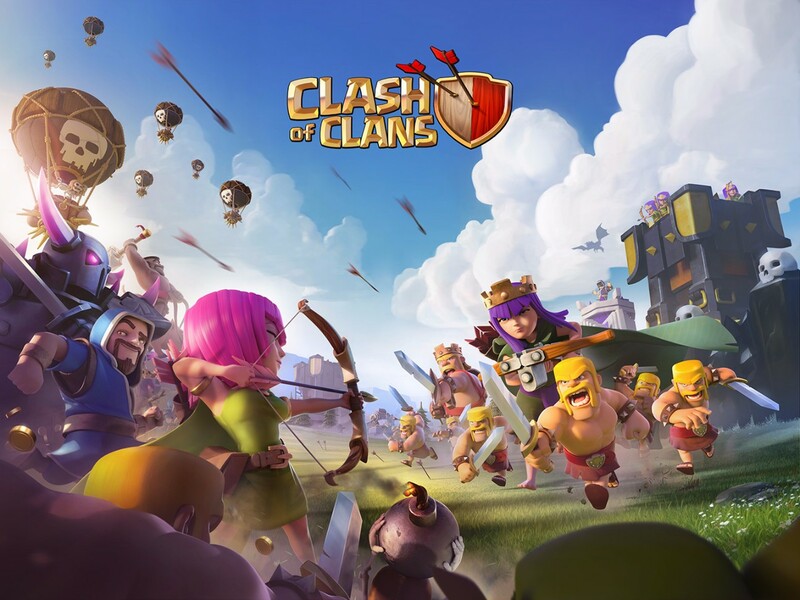 Increasing trend of the Clash of Clan has created a sense of competition among the players of this game. 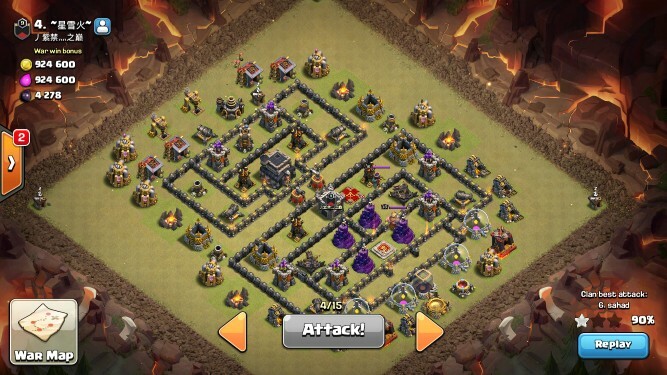 The craze and lust for winning are what makes the game interesting. 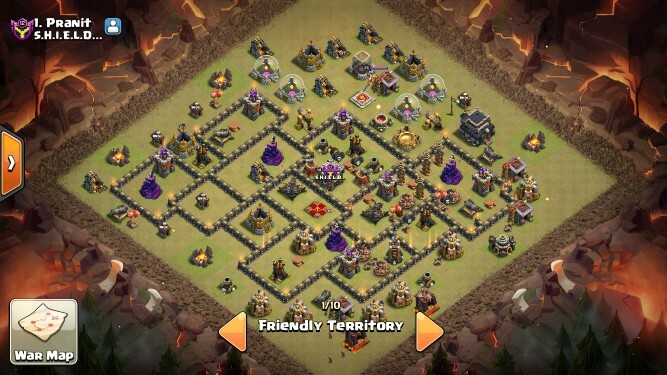 So we have collected some of the TH9 War Base layouts for helping fellow Town Hall 9 War Base players. 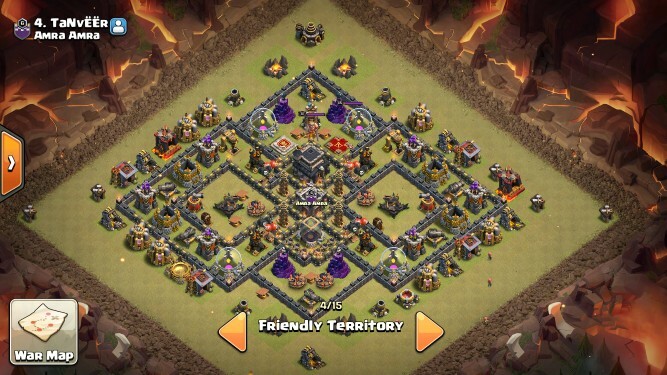 These TH9 war base layouts are taken from some of our clans to help you build better War Base and defend your clan from the enemy. 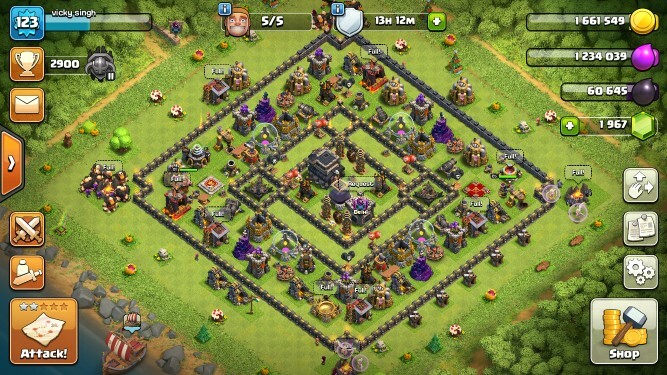 This is for setting up or farming your village for War. 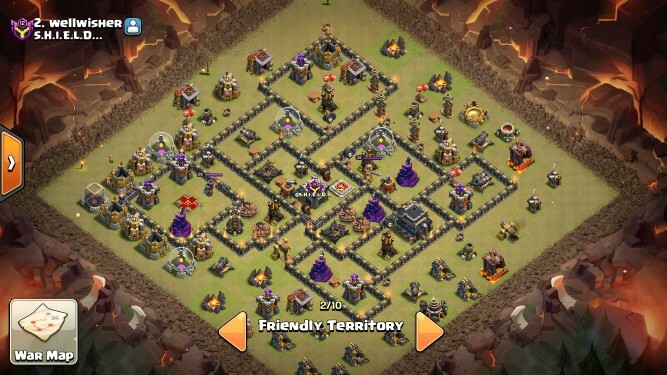 You can use multiple ways to build a strong and anti- 3- star TH9 War Base so that you can conquer over other clans you are competing with and prove your abilities to other clan members. 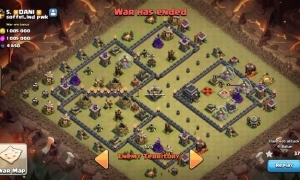 But in order to build a great TH9 War Base and prevent the attacker from getting all the 3 stars, you have to build your War Base incredibly strong. 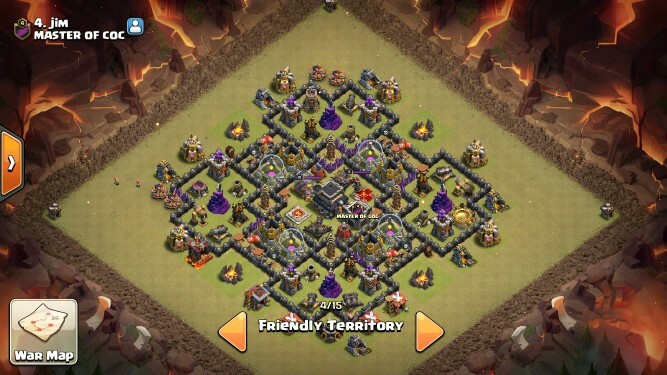 You can also observe and adapt from fellow clan members who also have a TH9 Base. 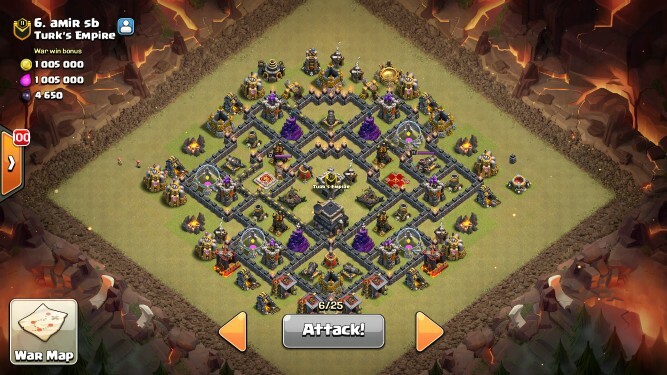 You have to primarily focus on the basic layout of your War Base. 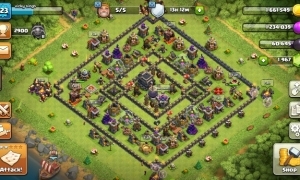 It includes setting up the walls and all the way to the surprise traps. 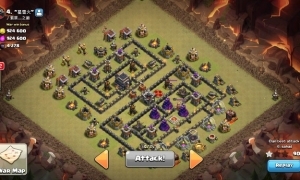 Traps have proved to be the last line of defense in most of the cases and they need to be set up very carefully to surprise the attacker and prevent your base from the 3-star raid. 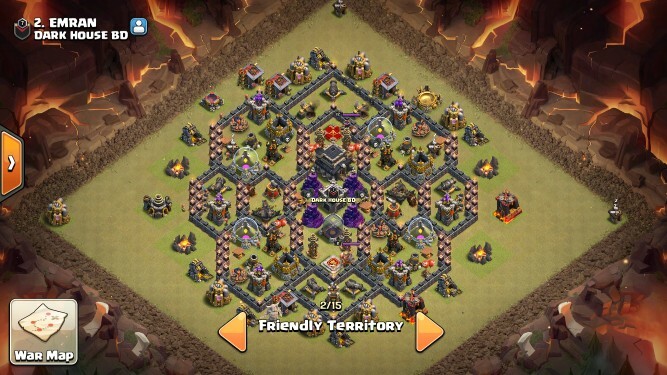 Although all the War Base layouts provided here are best for the anti -3- star raid, take a look at some more War Base layouts for Town Hall 9 (Anti-Everything). 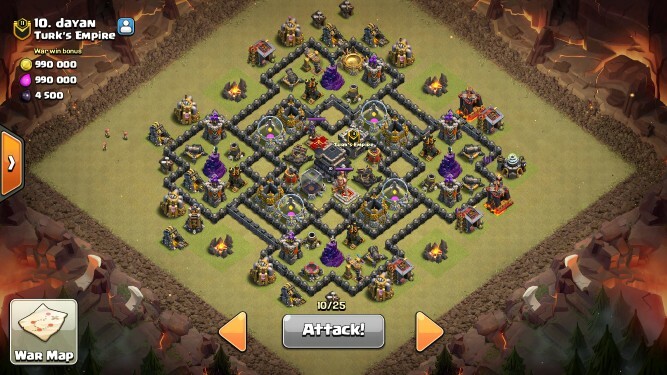 You can also use these layouts to prevent your elixir and gold from casual raids from attackers. 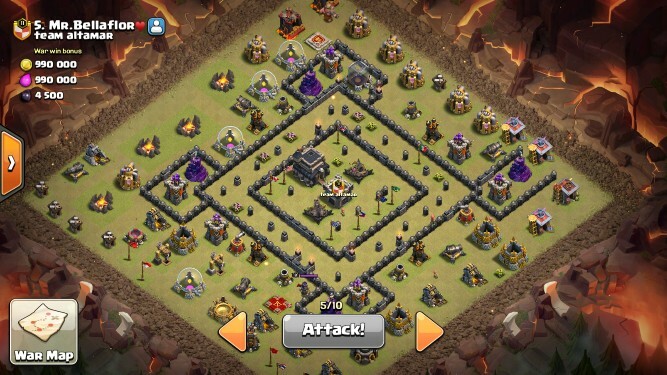 You can customize these layouts to create your own custom war base. 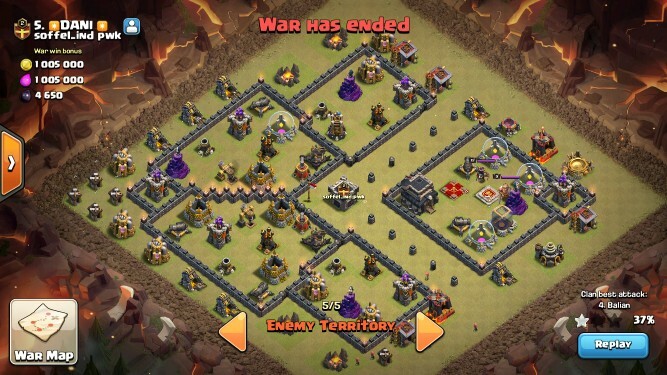 So just create your own War Base or just get a same as shown here, just make sure you don’t give away 3 stars. 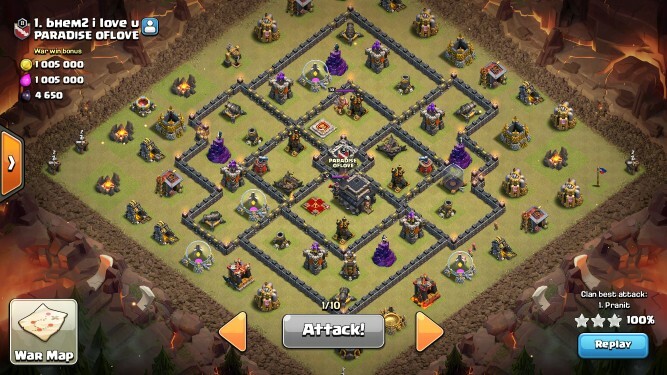 Go and make your clan proud. Clashhh on !!! 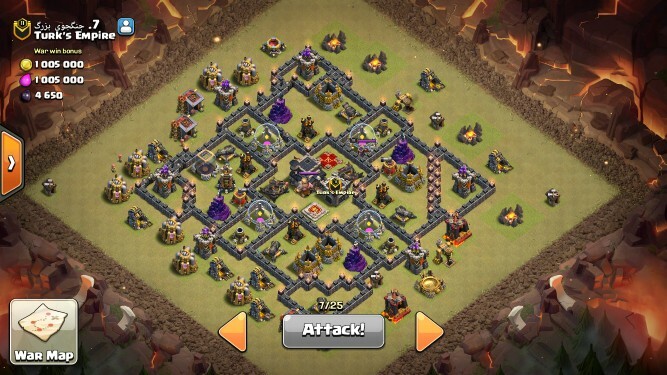 This is another amazing TH9 War Base to go with. 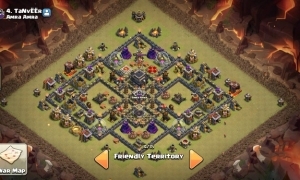 It is also called as Anti Loon Base as the Air defense is arranged in order to prevent loons from striking your TH and get all 3 stars.